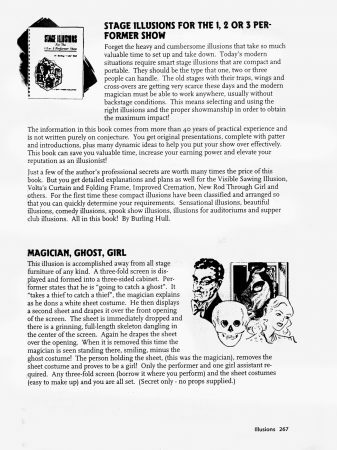 Only catalogs for magicians, that’s what. 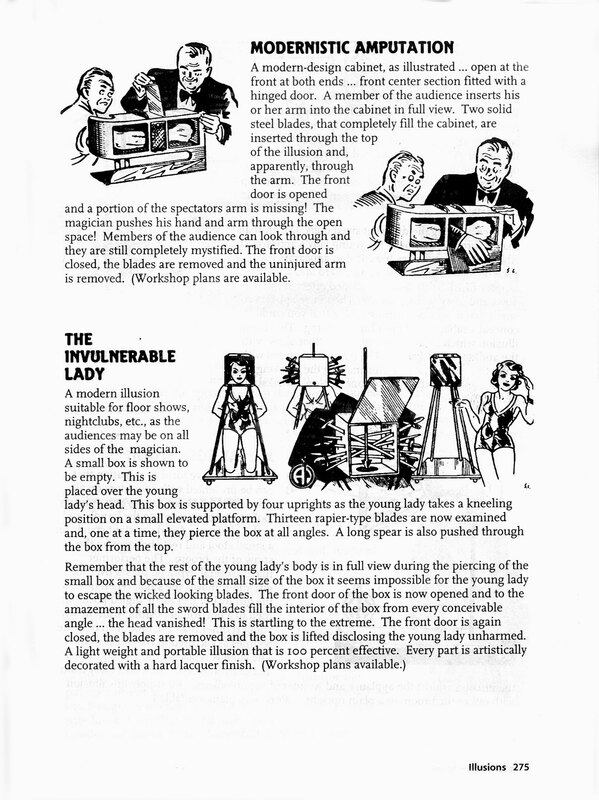 Want to saw a lady in half? Escape from chains? Make a Ghost walk? 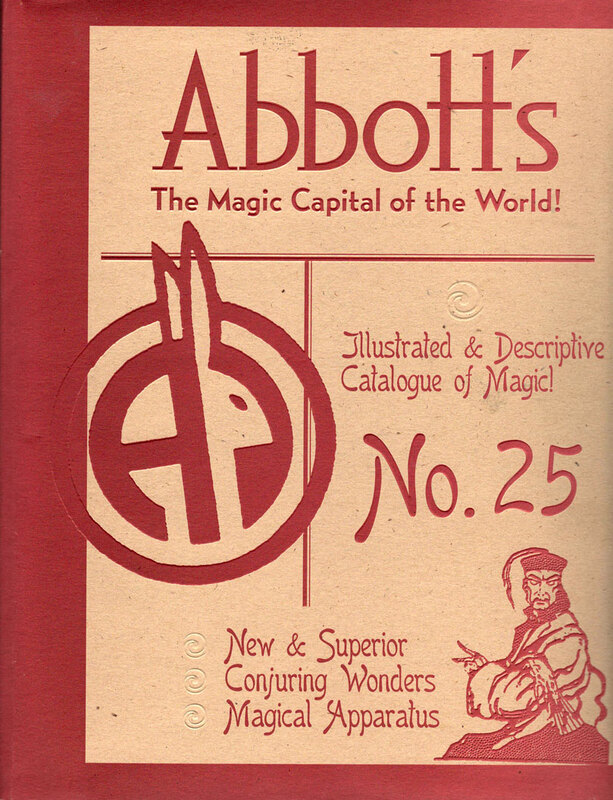 The Abbot’s catalog will reveal all the secrets. 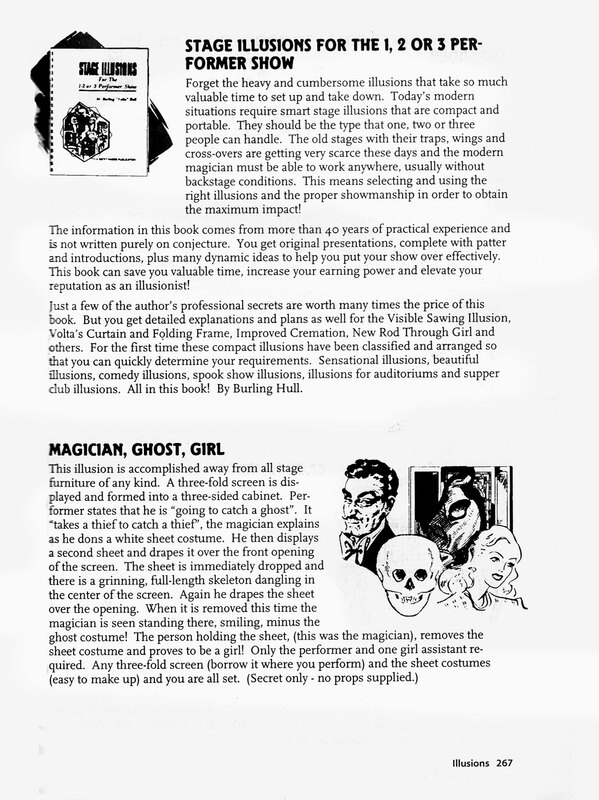 Actually, they never reveal the secrets in the catalog – they merely describe the spooky illusion. Then it’s up to you to buy it, or in many cases to buy only the plans and build it yourself. Even though this catalog dates to the late 1990s, it’s interesting to note that the illustrations are often from decades earlier – an ancient time when magicians wore bow ties and worked in nightclubs. The descriptions of some of these classic tricks are well worth reading – click to zoom in. Abbott Magic is once of those delightful businesses that has been around seemingly forever (actually, since 1934) and is still going strong. Every year in August they hold a Magical Get Together which draws hundreds of conjurers and fans to watch tricks being performed. Wouldn’t that be a treat? Previous Previous post: 21st-Century Sears, Well-Tooled. Next Next post: Highest Fidelity. Lowest Prices.